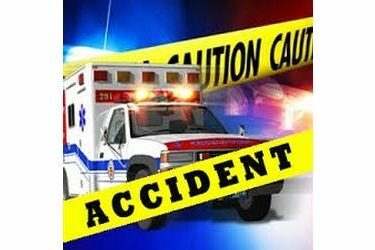 A personal injury collision occurred about 2 p.m. Monday on State highway 156, 3/10 of a miles east of county road 170, approximately 1 mile west of Marland, OK, in Noble County, the Oklahoma Highway Patrol reports. Blake Harris, 20, of Kingfisher, was driving a 2014 Dodge Charger. The vehicle was eastbound on SH 156, departed the roadway to the left, hit a ditch and continued about 28 feet before striking a tree. He was transported by Ponca City EMS to Ponca City Medical center where he was transported to to Saint Francis Hospital in Tulsa by Air Evac helicopter. He was admitted there in serious condition for trunk internal, trunk external and leg injuries.